Building on 25 years of innovation and sales leadership, a new Explorer is on its way, with even more smart technology, a new 2.3-liter EcoBoost® engine and an all-new Platinum series. The new Ford Explorer goes on sale next summer. Building on 25 years of innovation and sales leadership, a new Explorer is on its way, with even more smart technology, a new 2.3-liter EcoBoostÂ® engine and an all-new Platinum series. The new Ford Explorer goes on sale next summer. 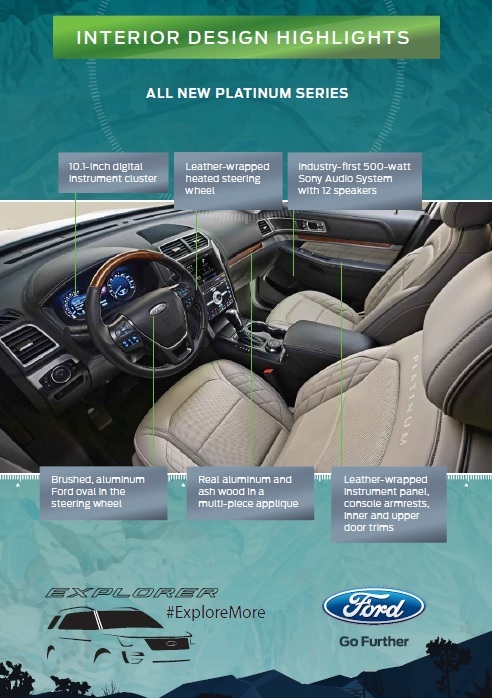 The new Explorer, revealed today at the 2014 Los Angeles Auto Show, builds on the strength and leadership of Fordâ€™s new vehicle lineup â€“ the freshest in the industry â€“ and provides SUV customers even more versatility, capability, smart technology and efficiency. Introduced as a 1991 model, Explorer featured generous interior space customers were looking for, and was engineered specifically for people seeking adventure for their families and a way to express their individuality. For a quarter century, Explorer has been Americaâ€™s best-selling SUV. Ford Explorer is built in North America at Chicago Assembly Plant, as well as in Venezuela and now, Russia. It is sold in more than 100 markets across the globe. 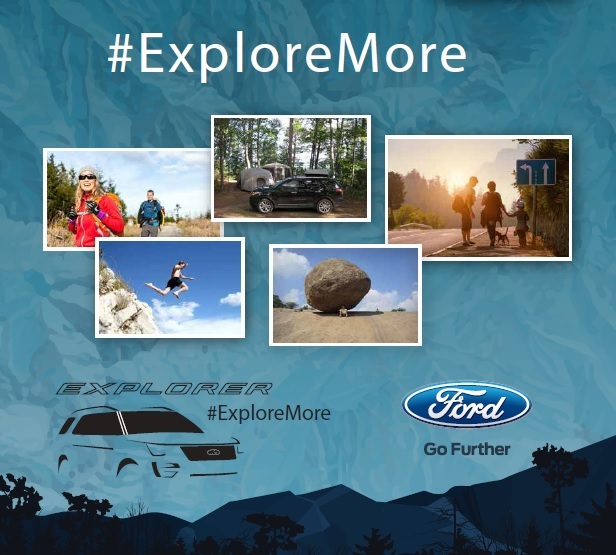 Ford expects to export 56,000 Explorers from the United States this year alone.